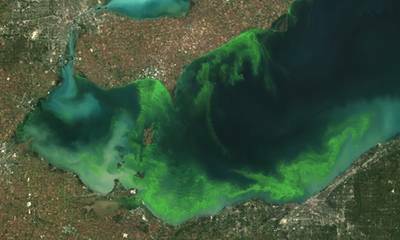 NOAA and research partners predict that the 2013 western Lake Erie harmful algal bloom (HAB) season will have a significant bloom of cyanobacteria, a toxic blue-green algae, this summer. The predicted bloom is expected to be larger than last year, but considerably less than the record-setting 2011 bloom. Bloom impacts will vary across the lake’s western basin. This year marks the second time NOAA has issued an annual outlook for western Lake Erie. The forecast, made possible using NOAA models developed by scientists from the National Centers for Coastal Ocean Science (NCCOS), uses an 11-year data set of nutrients flowing into Lake Erie, collected by the Heidelberg University’s National Center for Water Quality Research , and analysis of satellite data from the European Space Agency’s Envisat. 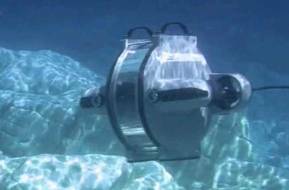 In addition to the satellite monitoring of the lake, NOAA’s Great Lakes Environmental Research Laboratory , Ohio State University’s Sea Grant Program and Stone Laboratory, Heidelberg University, the University of Toledo , and Ohio EPA will be collecting measurements from the lake as the summer progresses. The goal of those collaborative efforts is to further refine the accuracy of this forecast’s models. Harmful algae blooms were common on western Lake Erie in the 1960s and 1970s. After a lapse of nearly 20 years, they have been steadily increasing over the past decade. NOAA has issued weekly HABS bulletins for western Lake Erie , as an early warning system, since 2008 through NCCOS . The weekly bulletins will continue in 2013.